Recently I took umbrage to someone mentioning the dryer method of rolling (as well as giving the website) on one of my Joni Cornell Merino-Silk posts. Some of you know that I have recently been making felt to promote The Gentle Roller and Fulling Drum – a purpose built wet felting machine. To date I’ve kept my own counsel on the dryer method but in the interest of ensuring current and future felt makers are better informed, I’ve decided that it would be educational to make a couple of comments that felt-makers might wish to consider before continuing (or starting) to use this method. Sustainable making: Using the dryer is not a sustainable way of making felt. According to the Consumer Energy Centre the clothes dryer is one of the most energy hungry appliance in the house. A usual dryer will use between 1800-5000 watts, say 3000 watts on average. If you are not using the heat cycle, but just blowing air, let’s say 2000 watts on average. On average the Gentle Roller uses around 20 watts per hour of use. Using the electric dryer, you’d be burning at least 100 times the energy of a Gentle Roller. Usually, a felt maker will tend not to use the household dryer but an older version, which would be more inefficient and use higher wattage. Several felt makers who have used the dryer method have commented to me on the very noticeable increase in their electricity bill when they are busy felting. And it’s not only your electricity bill that takes a pounding. The environment is impacted also. If you are thinking ‘sustainability’, don’t think ‘clothes dryer’. Safety: The website which promotes the dryer method advises that for your safety you should mount your dryer upside down, as the electrics are on the bottom. This is incorrect and dangerous advice. 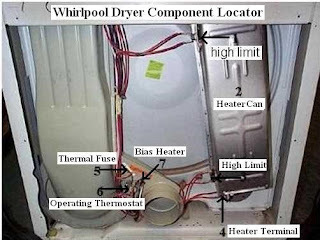 Unless you have a wiring schematic for your dryer you simply don’t know where the electrical wires are located, and most will have electrical wiring at both top and bottom. 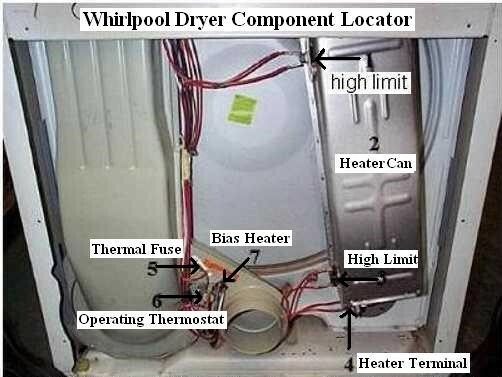 Here is a Whirlpool dryer with wires in the top and bottom. Promoters of the dryer method who acknowledge a potential safety issue should not compound their error by giving misinformation that turning the machine upside down makes it safe. It does not! Insurance: If you believe “it will never happen to me” then cancel your house insurance policy and save your money. But if you wisely have house insurance, you want to make sure you don’t compromise it. Your felt making bundle probably carries more water than the damp clothes coming from the washer (irrespective of rolling in a dry towel and securing with ties). If your dryer has a short-circuit, injuring someone or starting a fire, you’ve provided your house insurance or public liability insurance company (if in a rented studio setting) with an immediate excuse to reject your claim outright. When I first came across the ‘dryer method’ our instructor was unable to demonstrate it because of public liability issues – the venue managers strictly forbade using the dryer for anything other than its intended use, as they knew their insurance would be in jeopardy. 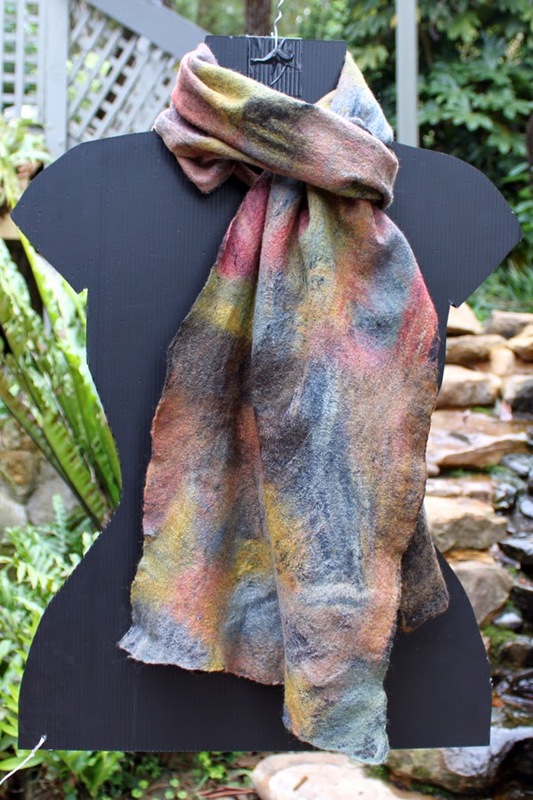 When I started out felting I was chuffed that I could adapt certain materials, such as a bamboo blind or a piece of dowel – but now that I’m mature in my practice (not to mention my body) it’s time to be more mature and responsible regarding the equipment that I use. Using the dryer to roll your felt and then the washing machine for ‘finishing’ is rather like using an iron to char your steak. 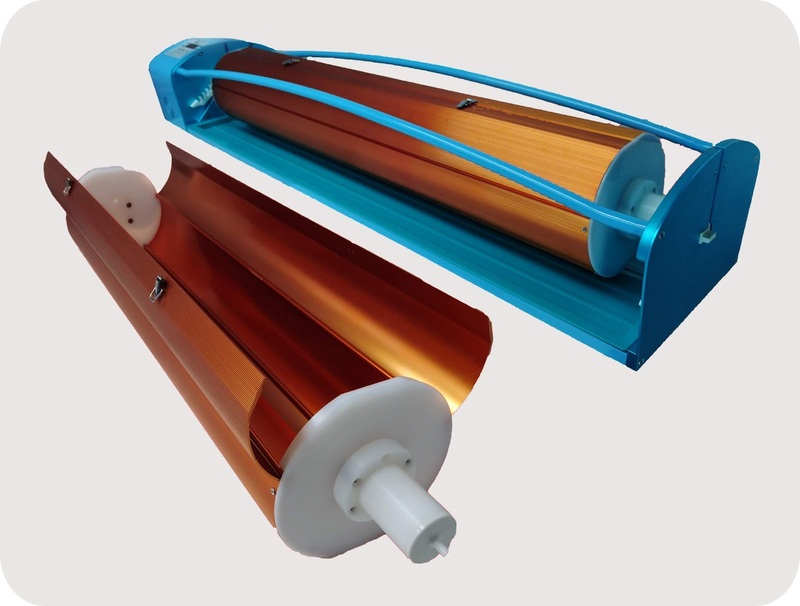 The Gentle Roller and its Fulling Drum have been specifically designed for felt making - to take away the tedium and labour involved in manual rolling. The fulling drum is the pièce de résistance– as you can use it to full your felt with as much, or as little, hand intervention as you desire to shape your finished piece. The Gentle Roller is safe, attractive, controllable and, as quiet as a library. It can also roll felt from super-fine Nuno to carpet runners twice as dense as industrial carpet. Oh, and it is not recommended that you use it for any purpose other than felt-making 😉.